If you've just enjoyed a January jam-packed with major sporting events on the tele, and thought to yourself, "I really should attend one year", you're not alone. Sports travel is BIG business these days as cities and countries compete for hosting rights, and travel companies line up to meet the surge in demand from people hoping to get up close and personal with big leagues, big stadium and big moments in history. Full house watching the Australian Open Tennis, at Melbourne Park. Watching Melbourne host the Australian Open—surely the most fun and friendly of all the tennis Grand Slams—so confidently and with a spirit that sweeps across the city, it's easy to understand the appeal of visiting during a major sporting event. And if you know Melbourne, you'll know that sport is one of a few things that the city does as well as anywhere else on the planet. If the squeak of tennis shoes on Melbourne Park's Plexicushion court surface, and the squeals and grunts from the players has you dreaming of a Grand Slam holiday, or you've got your sporting eye on another mega-event this year, read on. The famous clay courts of Roland Garros, Paris. Pleasingly, for tennis fans, the four Grand Slam tournaments—The Australian Open, The French Open, The Championships, Wimbledon and The US Open—take place in four of the world's most brilliant cities: Melbourne, Paris, London and New York. Visit any of these cities at any time and they're more than likely to serve up unforgettable travel experiences. Throw in a day or two at the tennis, and things will certainly go up a notch. Game, set and match. But how do you make it happen? Demand for tickets to events like these can be immense. If you've ever tried to secure tickets yourself, you'll know that it can seem like they're gone faster than you can say, "Game. Set. Match. Thank you, umpires. Thank you, ball-girls." By the time corporate hospitality and internationals allocations have been locked down, members tickets snaffled up, ballots exhausted, second-round ballots finalised, the scraps can vanish faster than a Nadal forehand pass. One thing to appreciate is that those international allocations are actually your best friend. An ATAS accredited travel agent can be the key to unlock access to these tickets, often some of the best seats in the house. A day at Wimbledon – a serious bucket list experience. In Australia, a number of sports (and big event) travel specialists and tour companies have access to these events. By working with them, your ATAS accredited travel agent can arrange every piece of the sports travel puzzle to suit your travel style and budget: Flights, transfers, accommodation, match tickets—courtside or in the nose-bleed section—and hospitality experiences out of reach of the DIY set. It's always a love-game in Paris. Following the world's best tennis players around the world might be a bit of a stretch, but if you're in Paris in late May, a day by the clay courts at Roland Garros—tennis fan or not—could be ace. Likewise, you couldn't be faulted for thinking a visit to the perfectly manicured grass courts of the All England Tennis and Croquet Club (and a serve or two of strawberries and cream) in June might be a bucket list experience worth making happen. No-one really needs a reason to visit New York, it's one of those 'you just have to go and see for yourself' places where there's always something going on. But if you're heading there in September, chat to your ATAS accredited travel agent about putting together a great value US Open tennis and accommodation bundle, and experience one of The Big Apple's major events. New York City – home to the US Open. If tennis really isn't your thing, 2019's calendar of major sporting events will very likely have something, somewhere to tickle your fancy. Maybe you're just a massive Manchester City or Juventus fan, a golf tragic, a rugby person, a cyclist or a runner, and want to weave a bit of it into your journey. Alternatively, you might be completely obsessed with your sport or team of choice, and that is the driving force behind your trip. Undoubtedly, more than ever before, Australians are travelling to compete in their sports of choice. We're seeing keen runners step up from the City2Surf to take part in marathons in fabulous cities all over the world. The cycling set is similar, setting off to exotic destinations to follow the Tour, Giro or Vuelta, sometimes even on two wheels themselves. These events are hugely popular and take lots of advance planning and expertise—the kind of know-how you'll find at your ATAS accredited travel agent. Whichever way you fit your sport into your travels—or your travels into your sport—an ATAS accredited travel agent has the relationships and tools to make it happen. Try these 2019 sporting events on for size. Runners really love to run, and the world's major marathons are massive drawcards. The appeal is obvious—not just the sense of achievement at having completed a marathon, or the sense of camaraderie, but also the thrill of running the streets of some of the greatest cities on Earth. So, start training for your run and planning for your trip with your ATAS accredited travel agent. 2019 is a Rugby World Cup year and, like clockwork every four years, the rugby fraternity is descending on the host country to cheer their teams on to glory. And while the Wallabies are not expected to raise the William Webb Ellis cup in Japan this year, a sea of wattle-yellow fans will be there for a taste of the first Rugby World Cup hosted in Asia - 20 September to 02 November. In a World Cup year, rugby flies high. The other big event on the rugby calendar is the annual Hong Kong Sevens, taking place this year 05-07 April. The Hong Kong tournament is the 'Wimbledon' of the global Sevens series, and surely the most fun-for-spectators sporting event anywhere. Being a truly global sport with major professional leagues on every continent, the opportunities to scratch the football itch are nearly endless. With teams and stadiums often both held in an almost religious esteem by football fans, tickets to matches between the world's great sides can be hard to come by. Camp Nou stadium, Barcelona. Home of FC Barcelona. Whether it’s playing in the UEFA Champions League, the Premier League, the Bundesliga, Italy's La Liga or Major League Soccer in the US, talk to you ATAS accredited travel agent about match ticket and accommodation packages in your team's home town. Get your motor running with tickets and accommodation packages to a Formula 1 Grand Prix! With a series of races jam-packed with high-octane entertainment and fun in places like Singapore, Monaco, Melbourne and Abu Dhabi, it's little wonder that the F1 circuit draws a global audience. Imagine a day immersed in Singapore's legendary street food scene followed by an evening at Twenty3—a cutting-edge functions precinct at the final corner of Singapore's street circuit. Formula 1 Singapore - 20-22 September 2019. The 2019 F1 grand prix calendar ends with the world’s only twilight race at the state-of-the-art Yas Marina Circuit, Abu Dhabi. Abu Dhabi is emerging as a fascinating destination for visitors, and there’s a range of Grand Prix experiences here including the Formula 1 Paddock Club, trackside superyacht hospitality, and Champions Club packages. Chat to your ATAS accredited travel agent to secure the package that’s right for you. If there's one tournament that all golf fans dream of attending, it's the US Masters in Augusta, Georgia. For many, watching the world's best golfers compete for the ultimate prize—the famous green jacket—is an almost religious experience. The Masters takes place annually at the legendary Augusta National Golf Club, and your ATAS accredited travel agent can craft the perfect Masters travel experience. US Masters - 11-14 April 2019. The world's great horse races genuinely bring places to standstill—the Melbourne Cup isn't the only race that stops a nation. The Kentucky Derby, Churchill Downs, Louisville. Credit: Bill Brines. Head to Churchill Downs in Louisville, Kentucky, for the legendary Kentucky Derby. The Derby takes place on the first Saturday of May each year. The 2019 Derby is set to take place on 04 May. Kentucky Derby packages can include accommodation, breakfasts, VIP functions, farm and stud tours, reserved seats, welcome dinners and drinks, tour leader and transfers. And because it's Kentucky, you might very well find your package includes tours of local bourbon distilleries. On the other side of the Atlantic, Royal Ascot is the most prestigious race meeting in the UK. Welcoming some 300,000 visitors, the Ascot Racecourse regularly boasts the world’s best racehorses through a five-day carnival. Royal Ascot 2019 - 18-22 June. There's so much more to the world of sports travel—this really is just the tip of the ice berg. But if it has set some wheels in motion and your head now swirls with visions of sporting holiday good times in the world's great cities, best you contact your ATAS accredited travel agent and start making plans. 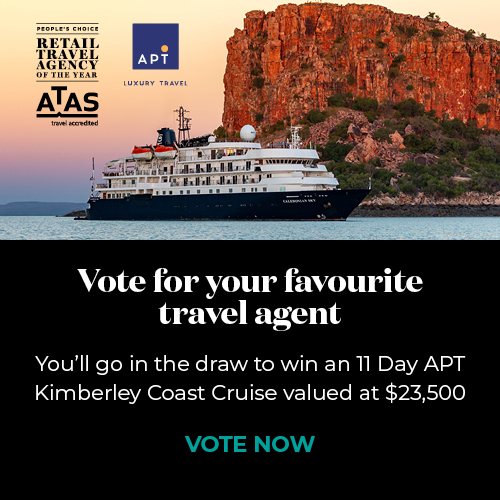 Looking for more insights from ATAS-accredited travel agents? Read about the benefits of taking the slow train in our high speed world, cruising with kids, and new ways to see some of your favourite cities.